in many cases of Morton’s Toe, the overall ‘length’ of the metatarsals is ‘normal’ ie the 1st metatarsal is the longest. Morton’s Neuroma is fibrous tissue formation around a nerve, generally between the 2nd and 3rd metatarsal heads, or between the 3rd and 4th metatarsal heads and can cause intense pain. Interestingly, I have never treated a foot that has got or had a Morton’s Neuroma, without it having the Morton’s Foot condition present. There seems to be no data supporting the connection, but equally no mention of it either. Why is Morton’s Foot a problem? The Morton’s Foot condition is a strong gene passed from generation to generation, with an estimated 30% of the population being affected. The problems arise through adopted gait adaptations, which are invariably present. The ‘normal’ biomechanics of walking is a specific heel-toe gait; from the heel, round the outside of the foot, pronating to spread the load across the breadth of the foot, using the smaller toes as balancing digits, and finally rolling off the longest (1st) metatarsal and big toe. When Morton’s Foot is present, it’s difficult for this ‘normal gait pattern’ to happen comfortably. Now, the longest metatarsal is the 2nd, and its head is jutting out alone, without the protection of the broader, weight-bearing 1st met-head next to it; one learns instinctively, from a very early age, to make adaptations to protect it. Accumulatively, this would have an impact on the function of the feet and therefore the biomechanics of body movements above. What are the symptoms of Morton’s Foot? Those over-active toes, by dragging the body alignment forward, can even affect the general tone of the pelvic floor. A plethora of sub-clincal ailments can develop, making life miserable, deterring people from being active and even leading to a loss of independence through a lack of mobility. What can be done about Morton’s Foot? We have refined orthopedic surgeon Dudley Morton’s early 1900s, original solution to the problem. A ‘pad of foam’ under the ball of the foot solves one problem, but often creates another, through over-adjustment. Orthotics, or prescriptive insoles, often behave in the same way. With the knowledge that the brain reacts quickly to even small adjustments underfoot (enabling us to move across uneven ground without falling over), we can observe the gait adaptations you have instinctively developed to avoid that vulnerable 2nd met-head. Then using those observations, we make real-time adjustments under your feet, until your foot starts to behave like – well – a foot! And we aim to just do that. No more, no less. Whatever solution we have ended up with as a result of your A2 Appointment, you maintain for up to a few weeks. Then, having ‘unlocked’ your feet/foot with whatever was necessary, we revisit the adjustments and through revised movement patterns aim to achieve global joint freedom of motion. Part of the treatment you have with me is to do with the structure of your feet bones. The rest tackles the gait habits which you’ve adopted, probably across most of your lifetime. We can change the way the foot works almost instantly, but gait habits need time and repetitive muscle contractions creating correct muscle recruitment patterns and improved muscle memory. With biomechanics, the aim is always to work with your body, rather than against it, and for that to happen, the feet must be allowed to be the relaxed, flexible, adaptable, innately strong, grounding forces that they are. Unless you are jumping up, they are not your source of power! Leave that to the much larger, much more powerful gluteal and hamstring muscle groups. Vertical body alignment is invariably a tad further back than you think … just a little bit – but that little bit makes all the difference. ‘Let’ yourself drift back a little so there is little or no pressure through the ball of the foot and the toes whether you’re walking. When you’re upright, you might even notice a veil of tension over your tummy button (sag forward again, and you’ll notice it disappear). If you are vertical, you are bending your knee and your foot is coming OFF the floor when you reach the ball of the foot and the toes … you are only driving into the ground at this point if you are leaning forwards. Listen to your feet – if the brain/inner ear balance mechanism is telling you you’re leaning back … try and ignore it, and listen to the truth from your feet instead. TOES DO NOT DO THE WORK!!! Not only does great technique help to align leg bones making the knee joint behave itself, being vertical has a knock-on positive action on ankles, hips, backs and necks too. 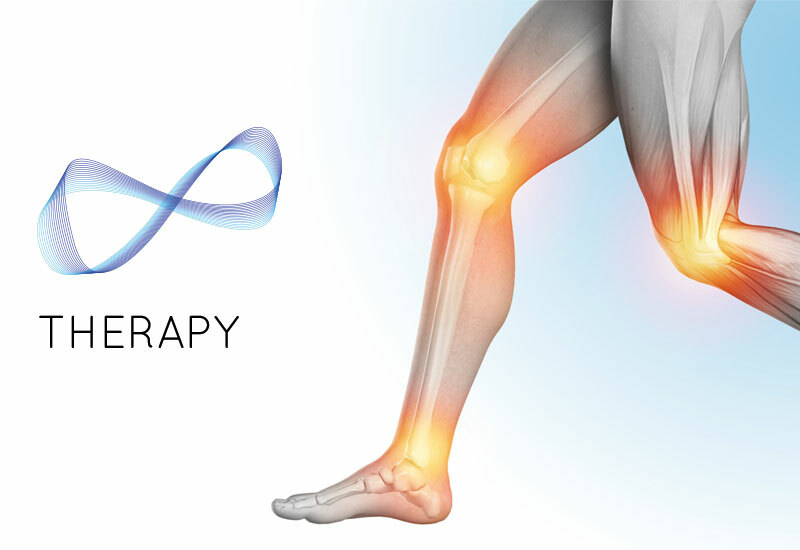 Initial presentation symptoms will be affected by a week or two of your feet behaving more like biomechanically happy feet, and by improved biomechanical movement, both in running and walking. Sometimes the application of the refined Morton’s Foot correction solves everything, and sometimes almost straight-away; sometimes treating the cause doesn’t ‘cure’ all of the end-product symptoms, and a little more assistance is required. It’s fruitless to treat all symptoms on first presentation, because so often the body will sort them out once the body is used in a much better way. In the appointment time, we achieve as much as possible, leaving time to tell us if more treatment is necessary for lingering niggles.